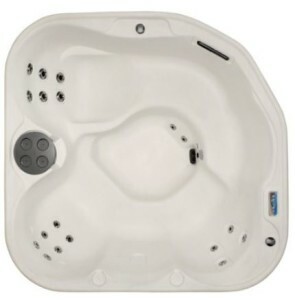 Corner spas take up less room and yet provide great comfort for indoor or outdoor relaxation. 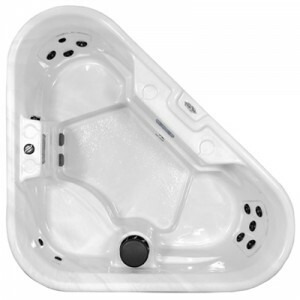 Be sure to get a hard cover instead of a soft cover when using the corner spa outdoors. A nice set of plastic, maintenance free steps completes the picture.